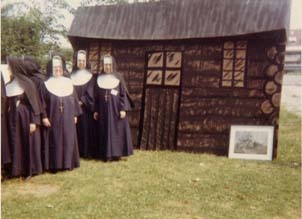 Click on the thumbnail to view photos. 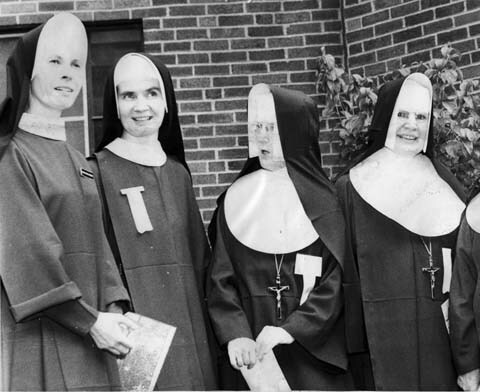 Because some photos are large photos, your browser may reduce the size to fit on the screen. 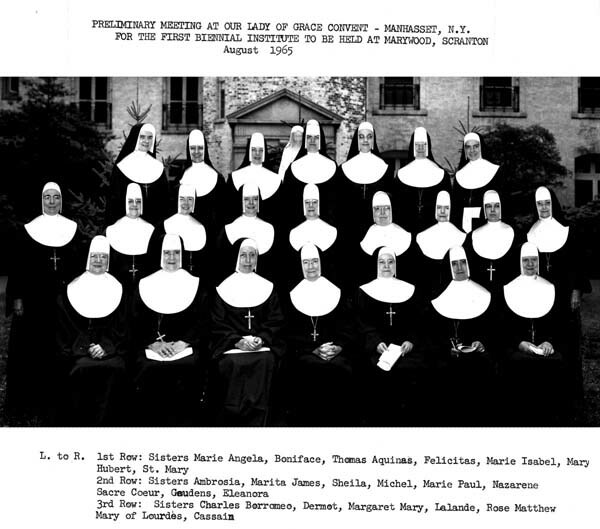 Place your cursor over the photo and a control will appear that will allow you to view the photo at full size. 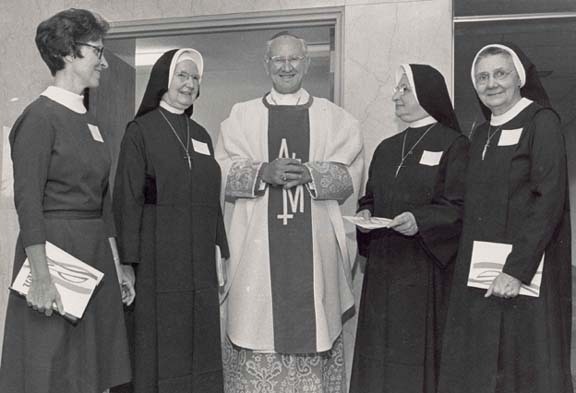 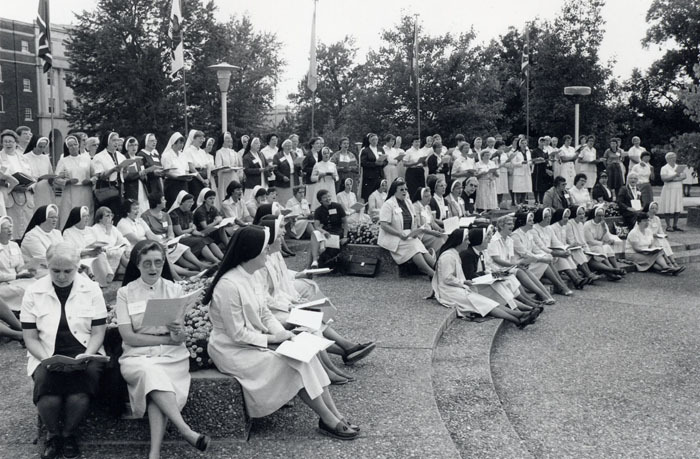 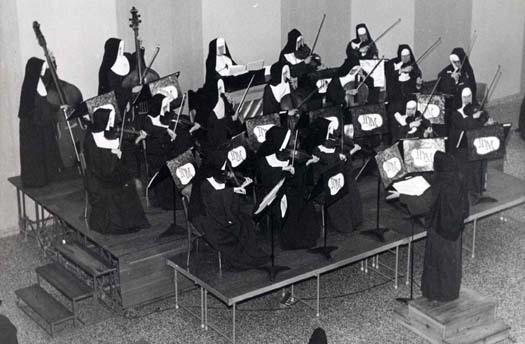 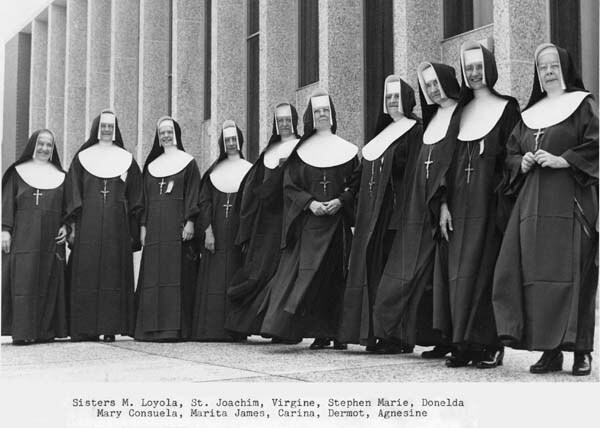 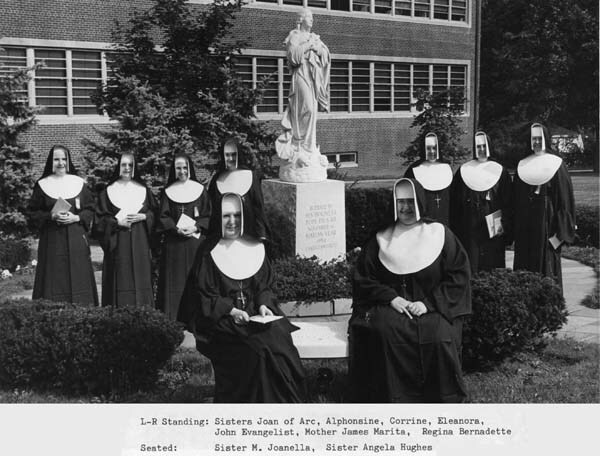 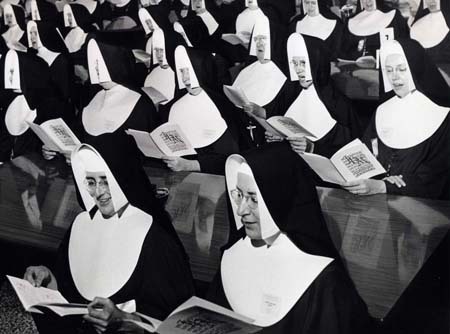 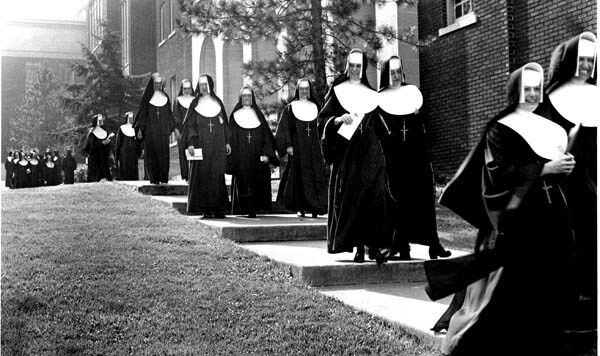 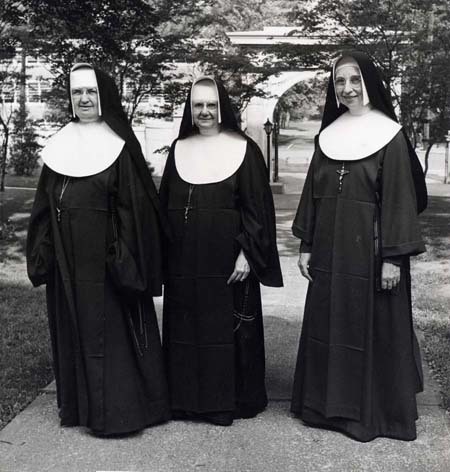 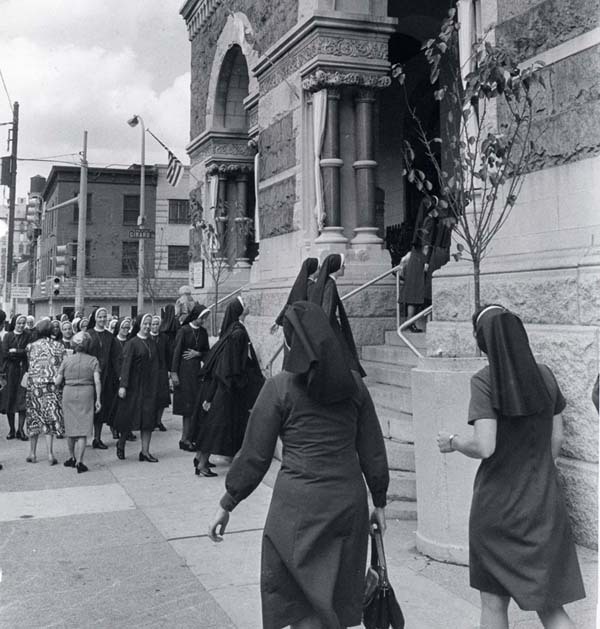 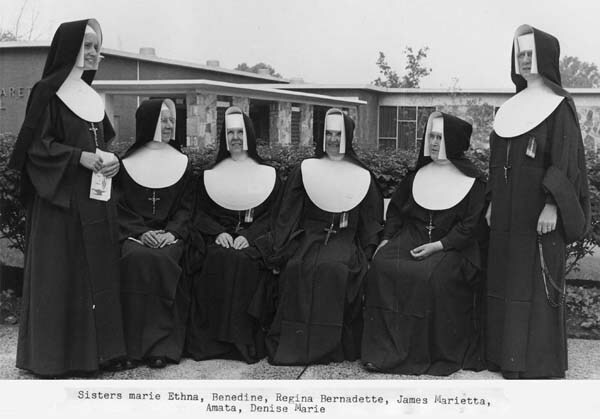 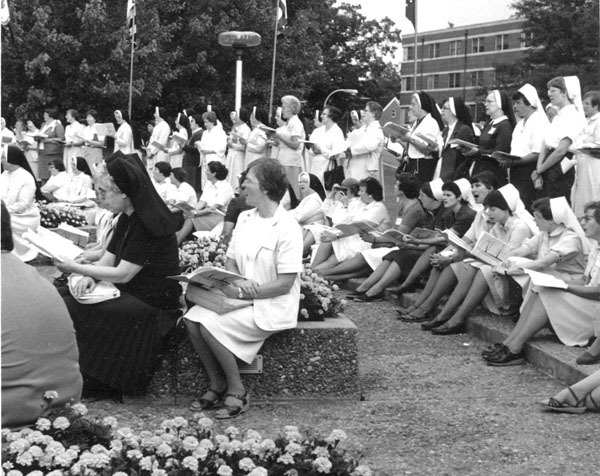 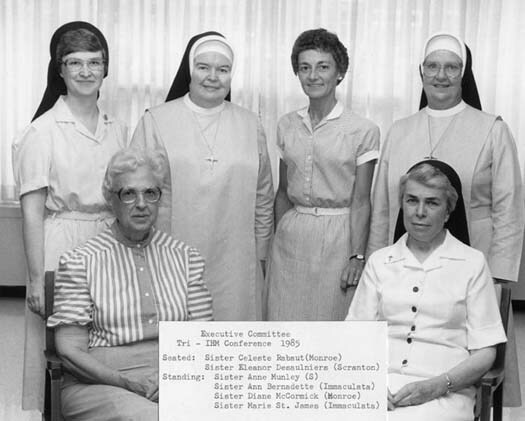 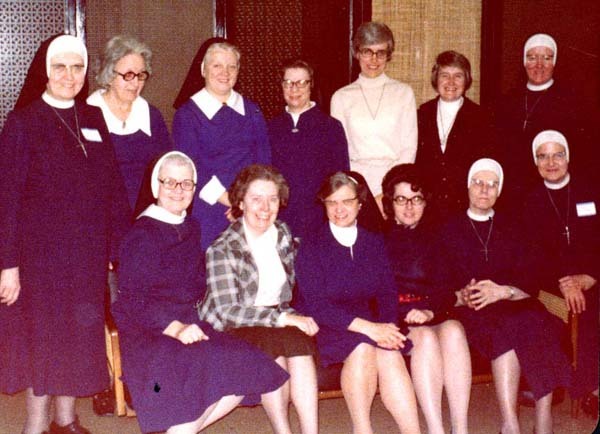 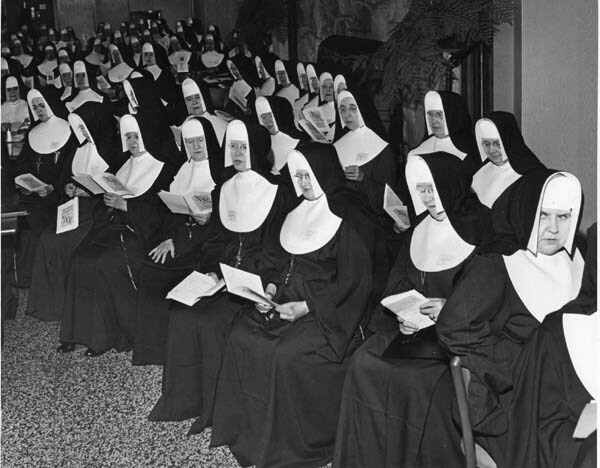 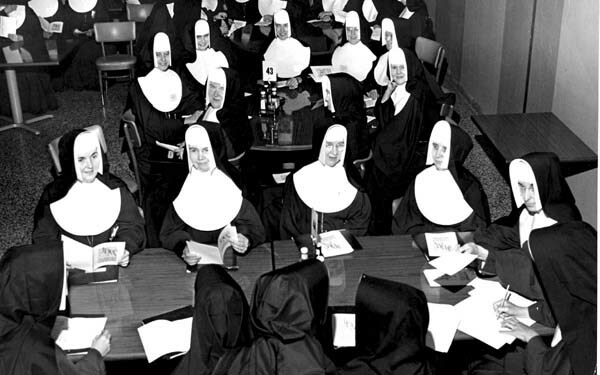 1964 The process of organization began when the first meeting of the planning group, two members from each congregation, met at Atlantic City on April 3 and 4, 1964, following the NCEA convention. 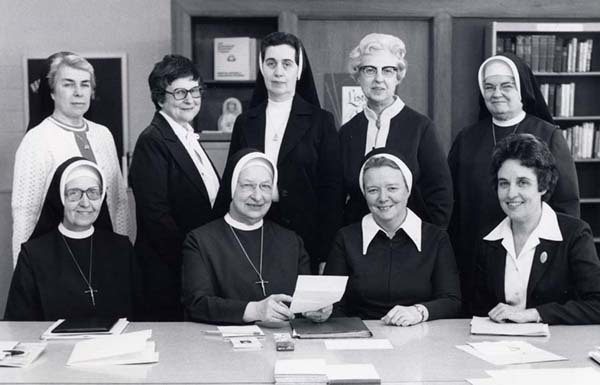 1964 The first meeting of the executive council with the planning board was held on August 26 and 27, 1964, at our Lady of Grace, Manhasset, NY. 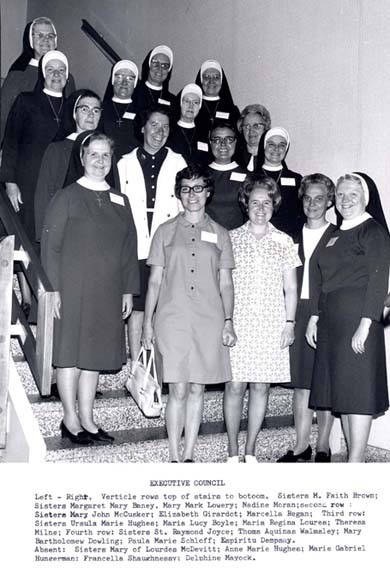 Program - "The Sister in the School of Tomorrow." 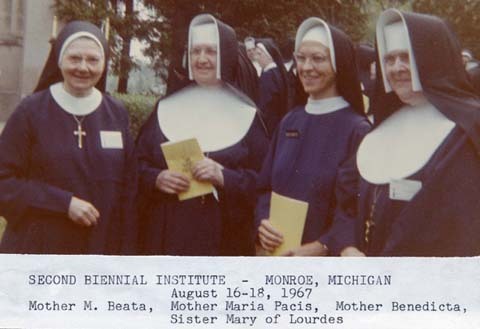 1974 IHM Education Conference at Monroe postponed until 1976. 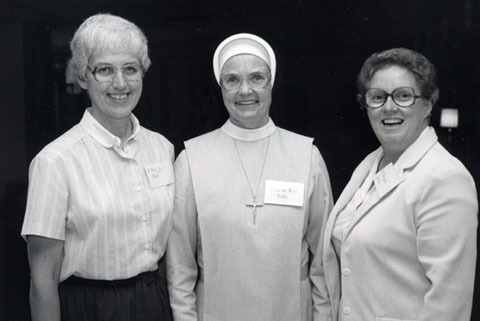 Memo to IHM Sisters states two reasons: energy crisis and conference seeking new directions. 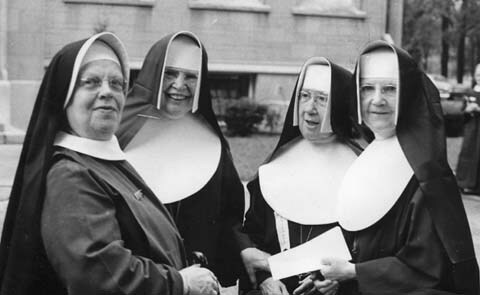 Tri-Community Task Force shown in photo. 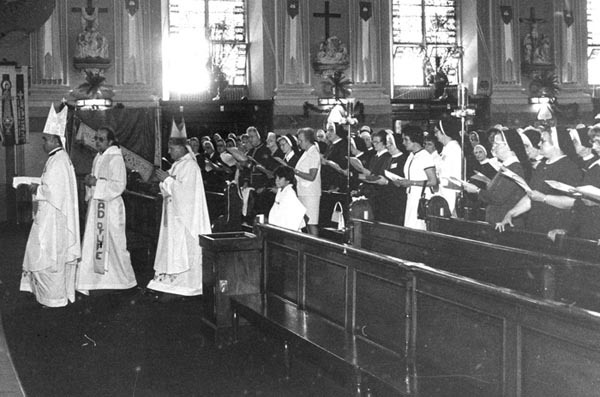 1976 IHM Education Conference to be held in Philadelphia in conjunction with the International Eucharistic Conference, August 1, 1976, St. Peter's Church and Shrine of St. John Neumann. 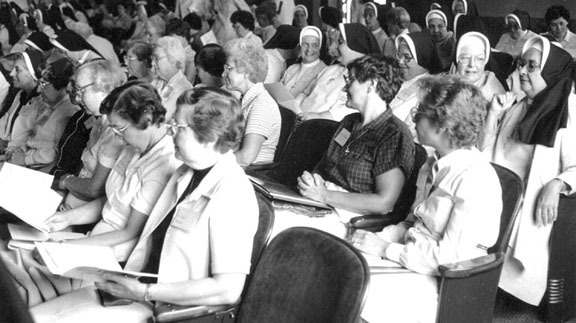 1980 IHMs Discuss Pooling Efforts at Meeting Held at Marywood, Scranton. 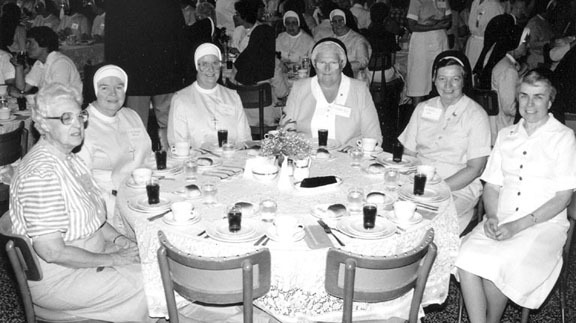 Representatives of the three branches met in Scranton on May 10th to plan cooperative activities in celebration of the "Year of the Family." 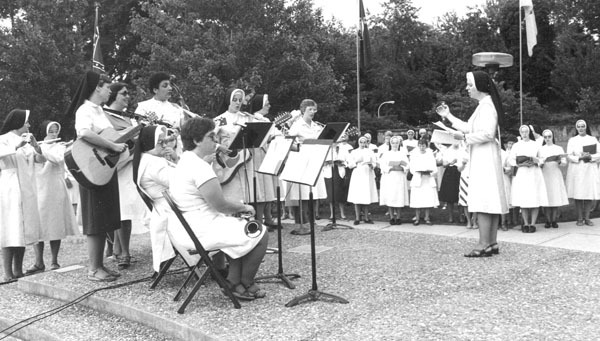 Tri-IHM Sesquicentennial Assembly, Monroe, Michigan. 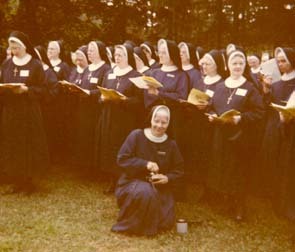 2003 Tri-IHM/Oblate Healing Racism Retreat. 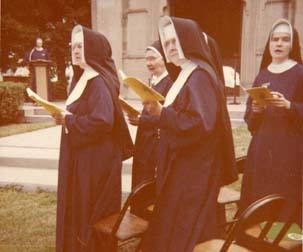 June 28 - July 3, 2003. 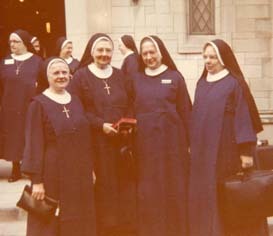 January 30-February 1, 2004 at Villa Maria House of Studies. 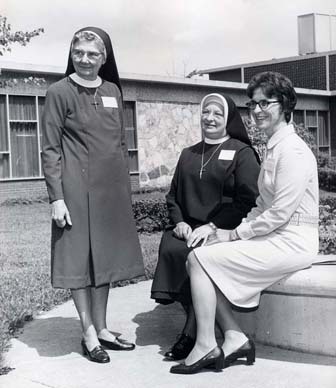 Fresh Eyes was a dramatization of a conversation in heaven between Mary Lange and Theresa Maxis. 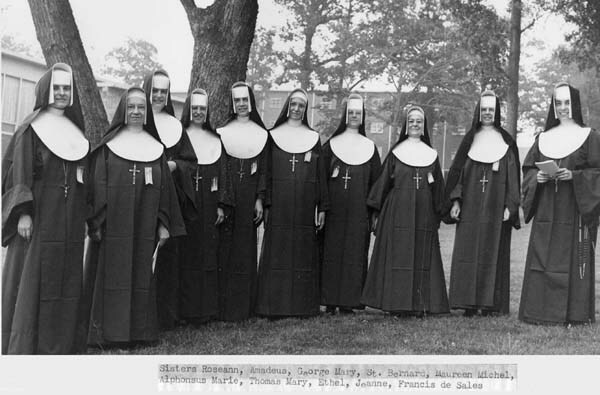 The OSP IHM Board of Directors meets yearly at one of the motherhouses. 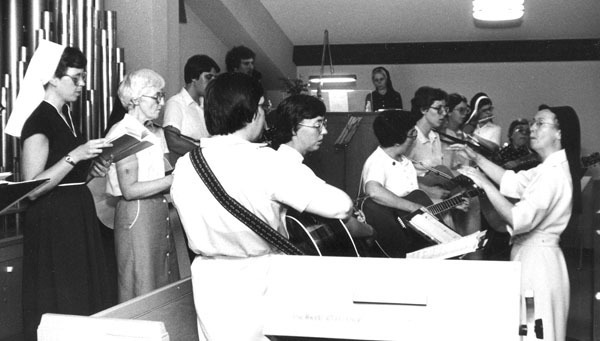 Marking the 170th anniversary of the IHM Congregations and the 186th anniversary of the OSP Congregation. 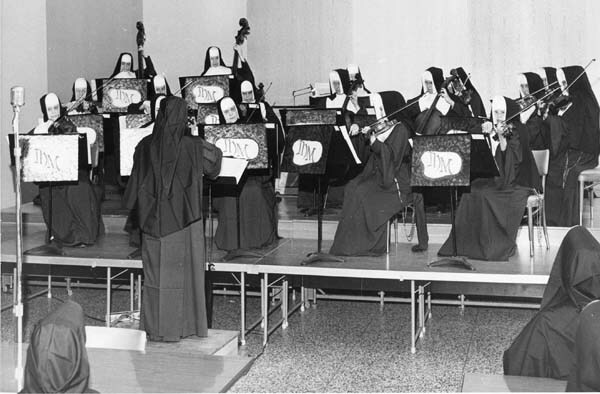 Marking the 175th anniversary of the IHM Congregations and the 191st anniversary of the OSP Congregation.